Gross profit percentage: In plain English, this is the percentage of money you’ve made from selling a good or service – after you subtract the cost of producing that good or service. You want that percentage to be as high as it can reasonably be. The higher your gross profit percentage, the healthier your business and the more profit you’ll take home at the end of the day. To calculate gross profit percentage, start by calculating your gross profit dollars earned for a specific time period. For example, let’s say you own a contracting business. In one month, you bring in total revenue of $110,000. But there are some related costs. Let’s say that you employ five employees who make an average of $3,000 a month and they also have a total burden rate of another $6,000. Materials cost was $30,000, trade contractors were $20,000, and other indirect production costs came to $6,000 for jobs undertaken this month. 1. First, add up your costs of goods or services sold. Cost of employees + labor burden + materials + trade contractors + other costs of production. 2. Next, calculate your gross profit dollars. 3. 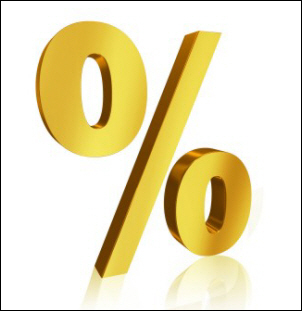 Then, you can calculate your gross profit percentage by converting dollars to a percentage. So, for this example, your gross profit dollars are $33,000 and your gross profit percentage for the month is 30%. What Does ‘Gross Profit Percentage’ Tell Me? After you compute it, and can see it, what does your gross profit percentage really mean? To those outside of your business, your gross profit percentage represents how efficient your business is as it produces goods or services. Was this a typical month? What are the projected revenues for the entire year? Do You Have a Better Understanding of How Your Gross Profit Percentage is Computed – And Why It’s So Important? Whether it’s for a single job – or for your entire company. Whether it’s for a month – or for a year – the more you learn about the critical numbers within your business, the more effectively you’ll be able to run it. A better understanding of your financial results should help you create a more efficient business so that you can achieve higher profits. Ready to learn more about how you can use QuickBooks or Enterprise to manage your own in-house management accounting system? Want to see how QuickBooks reports will automatically calculate your gross profit percentages? Looking to find out how you can use job-costing to improve your gross profit results? If so, please take a few minutes to check out our affordable Job-Cost Training series.